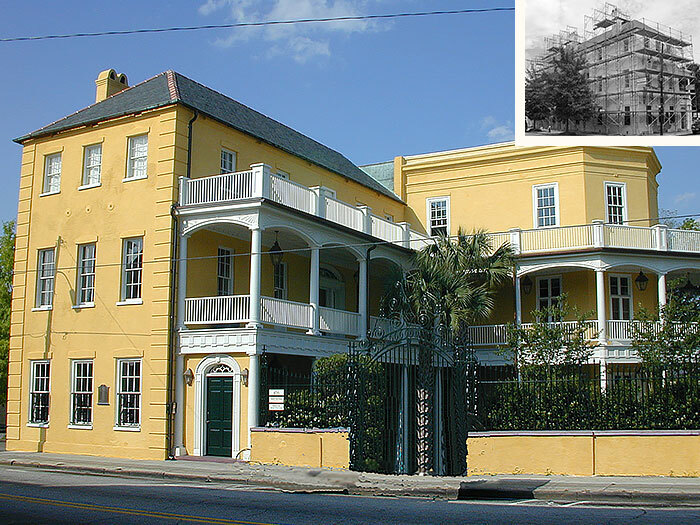 Built as a residence, this 19,000 square foot National Historic Landmark was the birthplace of the South Carolina Railroad, the nation's first steam engine rail line. 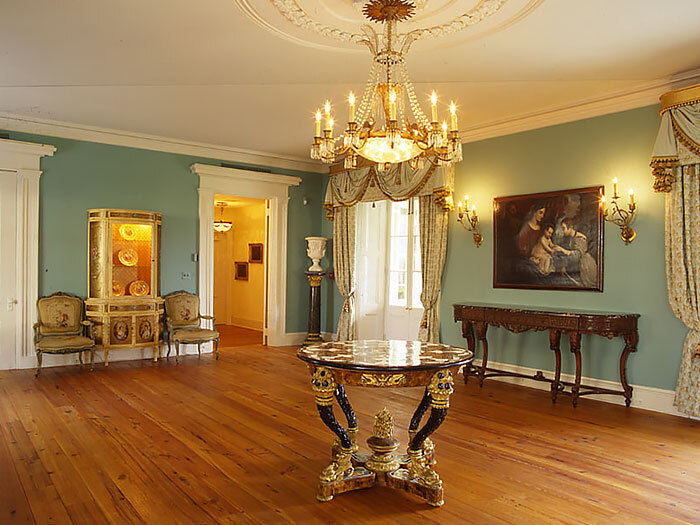 The main house has the original 1810 single house constructed in the Adam style with a significant 1830's ballroom wing added in the Greek Revival style. The complex also includes a Gothic Revival Carriage House. The house has been used for commercial purposes since 1863, primarily as office space. Today, the house is used as a venue for meetings and events. The work included restoration of the building's significant ornamental plaster and mahogany-grained doors. The reclamation of the grounds included the reconstruction of the lost historic ornamental iron gates and fence.